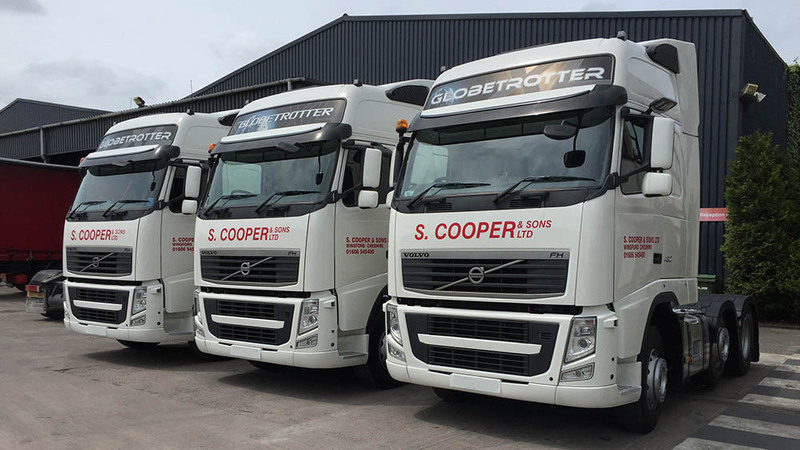 With a number of new contracts in full swing and volumes higher than anticipated through the summer months an urgent need for tractor units became apparent. A number of quick calls around our local truck suppliers and within a few short days three Volvo units were ready to go on the fleet. With time of the essence we have gone for a lighter shade or red for now! Rest assured they will be back in the familiar S Cooper red as soon as possible.